Building a deck in your garden can be a great idea if you have the space. It provides a great place to sit in the summer months and creates an easily maintainable feature that can really enhance your outdoor space. 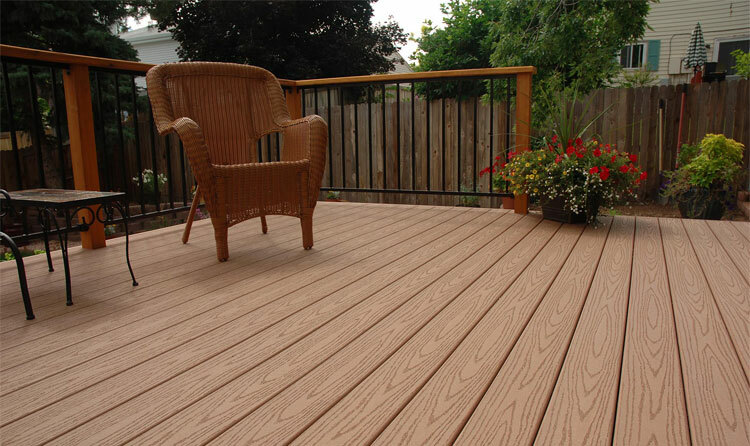 If you build a really high quality deck using pressure-treated soft wood or hardwood, this could also add a significant amount of value to your home. The job should usually only take around three days and the cost will depend on the size of the deck and the materials used. The first thing to do is mark out where you want your deck to be in your garden and check that it will be big enough for any existing garden furniture you want to use. Make sure you choose an area that will get some sun, as you won’t want to sit on it if it is always in the shade. Think about what you will be looking out on when sitting on the deck and if possible choose a south-westerly position as this is usually the best choice for decking. Check with your local council to see whether you need planning permissions and then work out how much material you will need for the planned deck size. Mark out the area you want with sticks and string and then clear any grass and vegetation so the ground is clear. Lay down the deck fabric and put stones on top to weigh it down, this way no weeds will grow up through the boards at any point. Place concrete paving slabs in a grid over the top of the fabric (each slab just lay around 140cm away from the next). Cover the grid in a DPC membrane before placing a simple box frame on top – the decking should have an overhang of around 32mm at each edge of the frame). Lay the joists inside the frame with around 40cm gaps between them and then nail them into place. Use a spirit level and lift any sections that need it with slate or tiles. Create some 60 cm stakes using timber and hammer them into place in the corners of the frame. Put some screws through the stakes and into the frame to secure the structure and stop it moving around. The noggins can be placed in-between the joists to give the frame an even better structure and strengthen the whole deck. Lay the decking boards on top of the frame in roughly the right place and use a manual mitre saw to mitre the points where the decking planks meet. Fix the decking down with a 5mm gap between each board using two screws at each joist. Plane and sand down the outside corners so that they are rounded and then fix a decking plank to back, front and sides of the frame to neaten the decking up. Make sure these planks all fit flush against the outer panels and smooth down any rough areas.